The Neurofeedback System That Frees the Brain to Optimize Itself. So have the results of the more than 100,000 people who have already been treated. Direct Neurofeedback is an imperceptible ultra low-voltage stimulation that disrupts the frozen, stuck and repeating neural patterns that are the root cause of many mental disorders. This allows an individuals brain to re-establish healthy neural patterns. The effect is like rebooting a frozen computer. How Does Direct Neurofeedback Work? Direct Neurofeedback can show results with one session and is also pain-free and comfortable. Patients relax for a few moments while tiny signals are sent to their brain through small sensors placed on the scalp. With immediate results, fewer and shorter sessions, as well as ease and simplicity, Direct Neurofeedback is an easy choice with tremendous benefits! Neurofeedback not only meets the AACAP criteria for ‘‘Clinical Guidelines” for the treatment of symptoms in ADHD, seizure disorders, anxiety, PTSD, depression, reading disabilities, and addictive disorders; but with our direct neurofeedback, you can see a huge difference in symptoms of feeling overly cautious, uncomfortable around new people, as well as being hesitant to try new things. Patients have shown signs of improvement in mood, irritability, impulsiveness, headaches, clarity, self-control, and addiction craving control making daily activities easier to achieve. With all of these benefits why wait? Call us today for an appointment and get your brain organized and running efficiently. Schedule your first visit with one of our practitioners today. Schedule Your First Direct Neurofeedback Visit Today! Schedule a consultation today to see if Direct Neurofeedback is right for you. We will access your individual situation & discuss what results you can expect. We offer the most innovative techniques in the safest environment possible. For part of 2013 and most of 2014 The Dubin Clinic ran a formal, Independent Review Board (IRB) approved research study. Dr. David Dubin was the primary investigator and George Rozelle, Ph.D., Michael Mark, Ph.D., and Meg Stuppy BS were Co-Investigators. 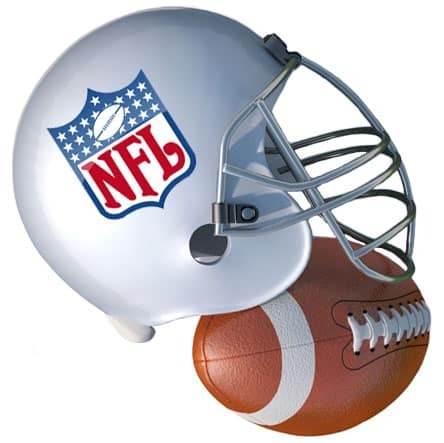 The study, which has not yet been submitted for publication, compared the clinical status of 10 former NFL players with varying degrees of post-concussive syndrome both before and after treatment with Direct Neurofeedback (vs traditional, or indirect neurofeedback. All ten players improved both clinically and statistically in terms of symptoms, cognitive findings and brain maps (quantitative EEGs). Click on the button below for testimonials and findings. For more information on how Direct Neurofeedback & LENS Neurofeedback can help you, please contact The Dubin Clinic in Los Angeles. Dr. David Dubin was an emergency room physician in Boston for 10 years. Coming to CA he was so impressed by Direct Neurofeedback that he decided to cease the practice of traditional medicine. The Dubin Clinic is specifically for the practice of Direct Neurofeedback. It is not engaged in the practice of medicine.